Anodized aluminum. Adjustable to thickness of PV module (within clamp size range). 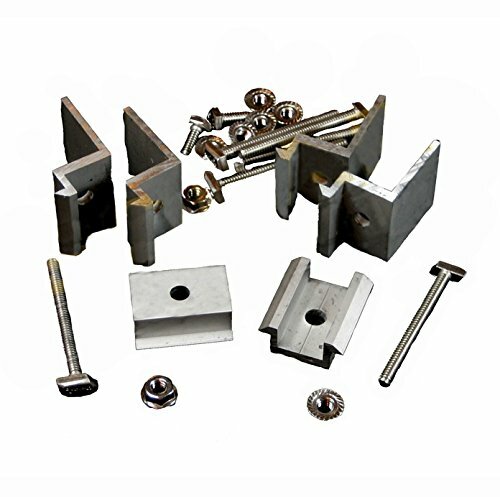 Set includes hardware to mount 1 or 2 PV modules (4 end-clamps and 2 mid-clamps) to Unirac Solarmount rails. 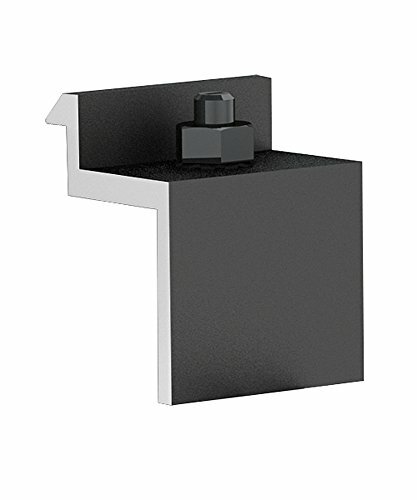 Unirac SolarMount top mounting clamps are ideal for flush mount applications, such as residential rooftops, where it is most convenient to secure footings and rails before installing modules. Top mounting clamps securely grip any point of the module frame, freeing you from the constraints of module mounting holes. Clamps are sized to the thickness of the PV modules you are mounting. 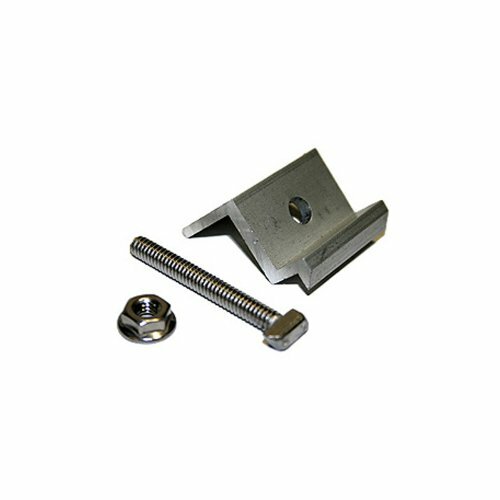 Unirac SolarMount 302023D top mounting clamps are ideal for flush mount applications, such as residential rooftops, where it is most convenient to secure footings and rails before installing modules. Top mounting clamps securely grip any point of the module frame, freeing you from the constraints of module mounting holes. Clamps are sized to the thickness of the PV modules you are mounting. Copyright © Wholesalion.com 2019 - The Best Prices On Unirac Top Mount Clamps Online.